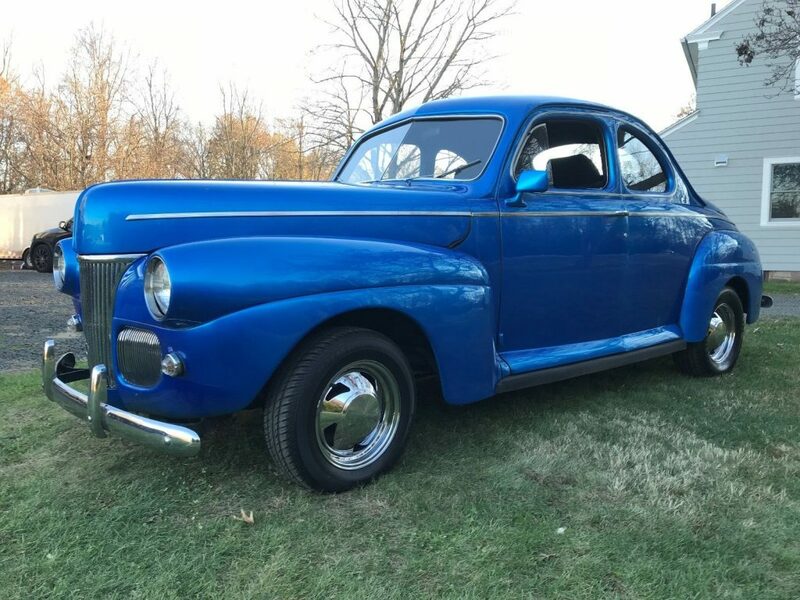 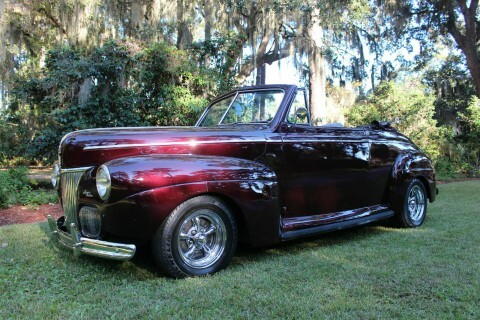 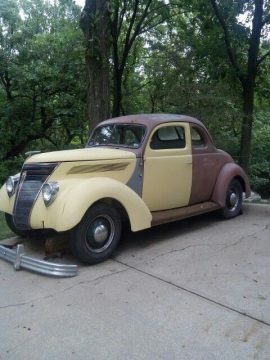 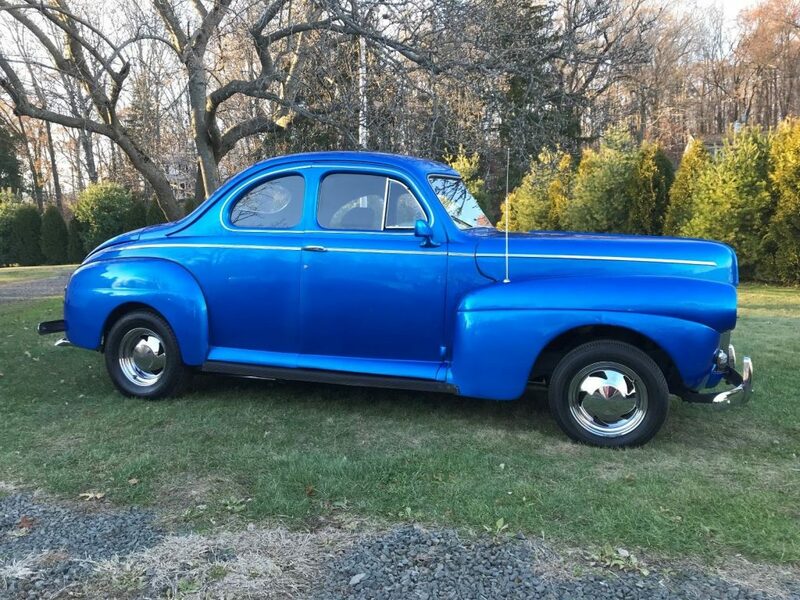 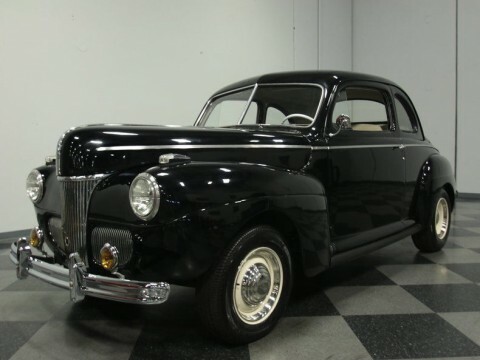 1941 Ford 2 door coupe. 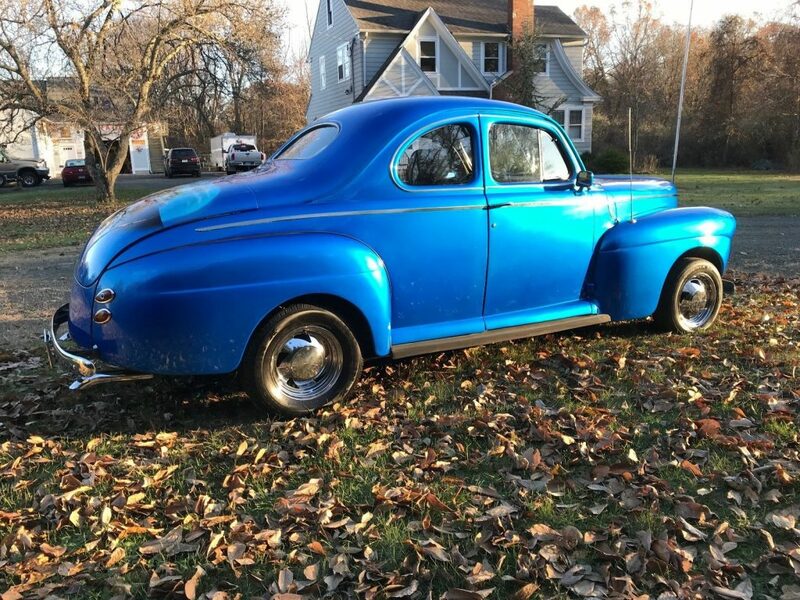 This “Intense Blue” car is ALL STEEL with the exception of the rear bolt on fenders. 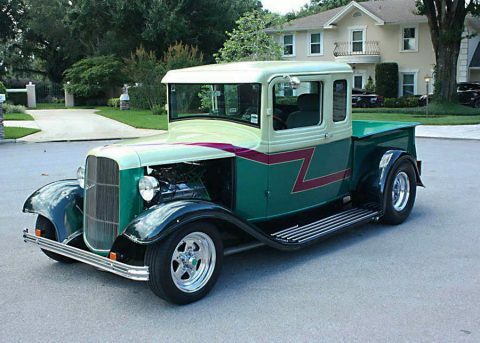 It has a early (1965) 327 C.I. 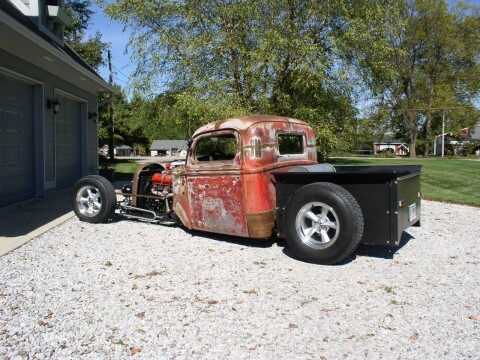 with the 462 double hump fuelie heads and a Holly 600 4 bbl., backed by a Th350 and a 10 bolt rear. 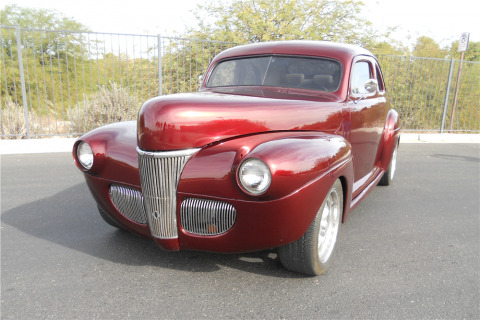 GM front clip with all of the modern components. 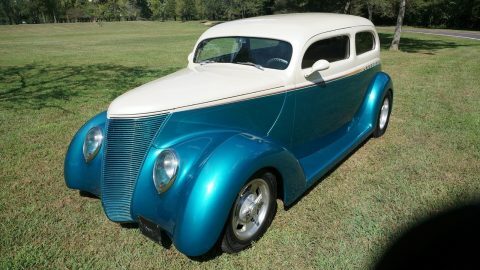 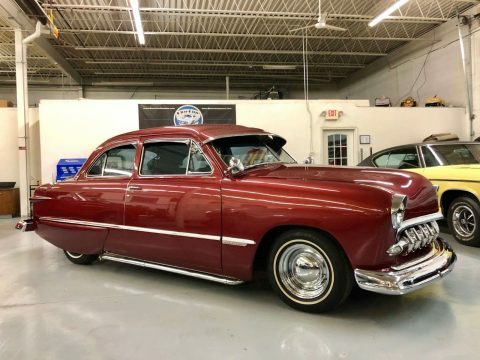 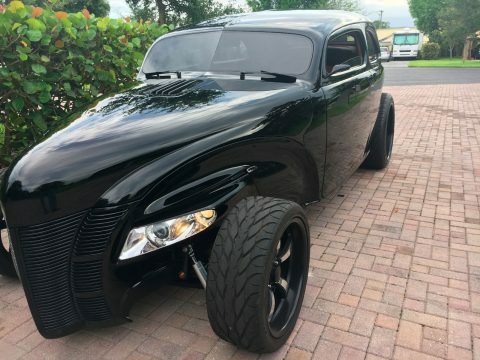 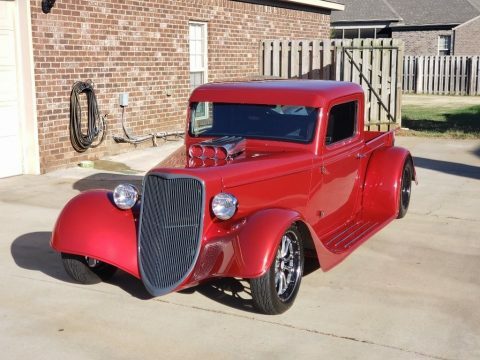 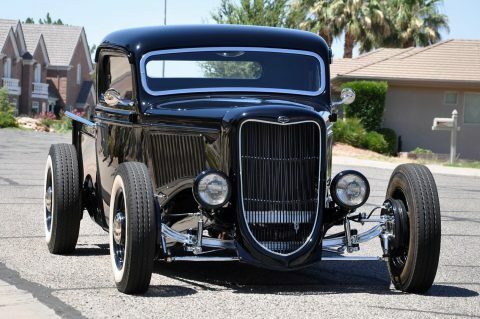 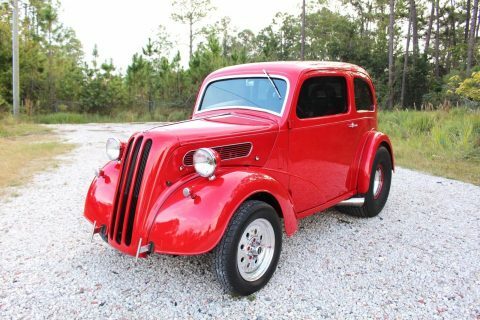 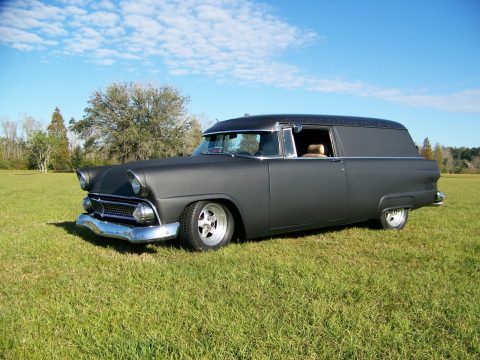 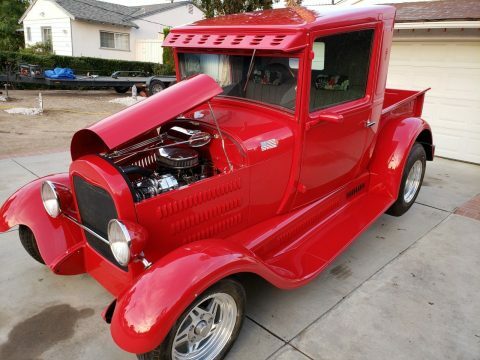 It has power front disc brakes, power steering, heat (which many hot rods don’t have), new front shocks, recently replaced front end rubber components, auxiliary cooling fan with original radiator, rear ladder bar and coil overs suspension. 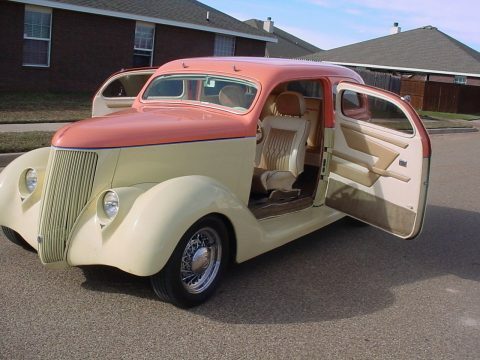 The interior is super comfortable and clean. 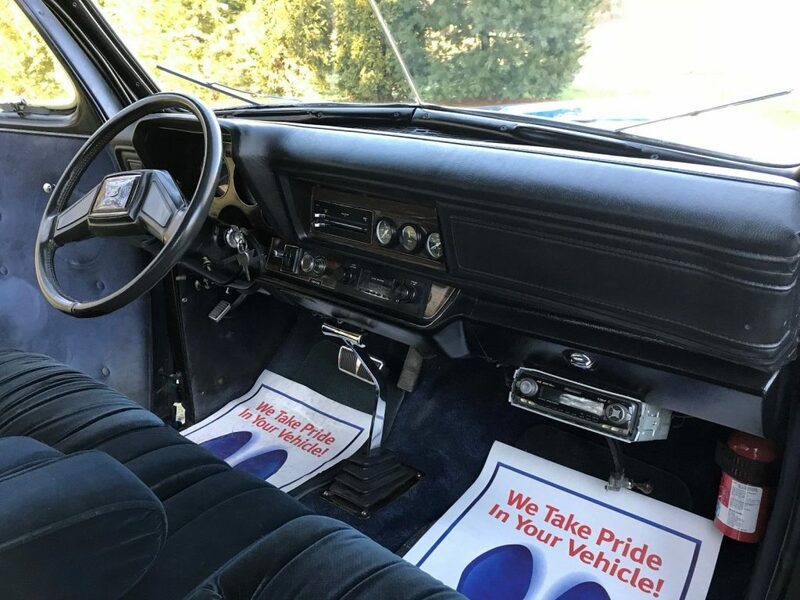 It has a split bench reclining seats with 6 way power driver’s seat, tilt wheel, heat, defrosters, nice black vinyl headliner and nice rear seat with center arm rests. 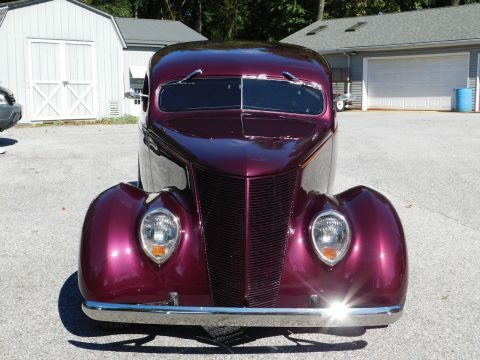 All of the lights, blinkers, license plate light, dome light, dash lights and gauges work as they should.